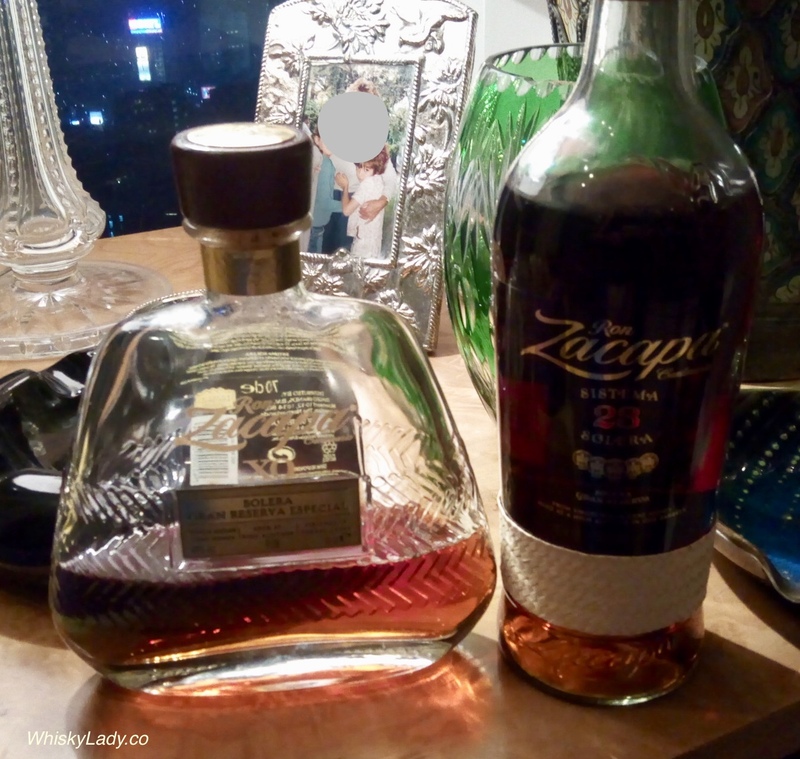 Next in our rum sampling was a head-to-head of two Zacapas – the 23 Solero and the XO… Zacapa rum is from Guatemala. Combining a blend of rums from 6 to 23 years old. Keynote – Wonderfully intricate with honeyed butterscotch, spice oak and raising fruit, showcasing the complexity of the sistema solar aging process. Combining a blend of rums from 6 to 25 years old. Keynote – A perfectly balanced combination of sweetness, spice, fruit and spirit, a connoisseur’s delight and the ultimate expression of the Master Blender’s art. Nose – A very open nose with a wealth of aromas that seem to evolve each time you nose the glass; a great balance of mature toasted oak, burnt caramel, dry-roasted nuts, marzipan and orange peel; a delicate floral note of honeysuckle in the background. Palate – A wonderfully complex and satisfying balance of sweetness, fruit, spice and spirit, all tempered by the extra ageing stage in ex-cognac French oak barrels; long, smooth and sweet with a weight of dark cherry chocolate and flavours of intense dried fruits like sultana, date and prune; sweet oak spices of clove, vanilla and cinnamon, and lighter notes of dried mango and raspberry, with a subtle hint of ginger to finish. A connoisseur’s delight and the ultimate expression of the Master Blender’s art. We found the XO much more restrained on the palate than the 23 Solero. We also tried it in the Norlan glass to find it much smoother, revealing more rum like qualities with brown sugar soaked raisins. What else did we sample in our rummy explorations? 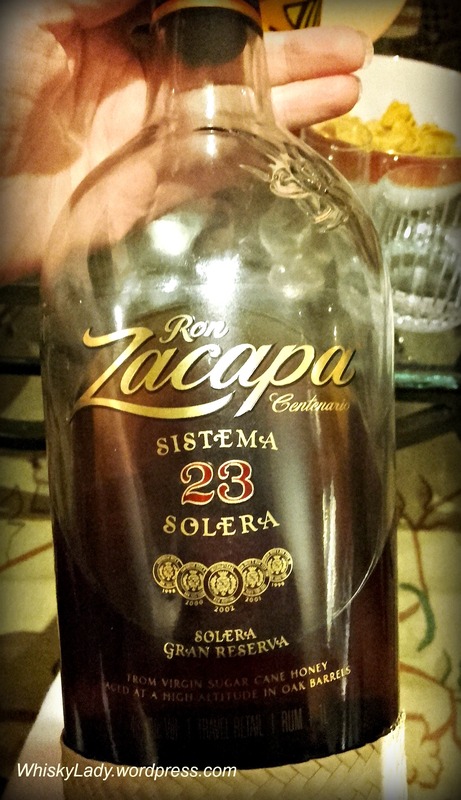 This entry was posted in Other and tagged Rum, Zacapa 23 Solero, Zacapa XO by Carissa Hickling. Bookmark the permalink.